Moncton's new homeless shelter has been operating over capacity since it opened, and a front-line worker says the lack of addiction services will keep some people marginalized and living outdoors. Lisa Ryan is the director of the YMCA ReConnect outreach program and works directly with the city's most vulnerable people. Since the shelter opened Dec. 1, it has housed 50 to 55 people every night, although it has only 45 beds. This is especially a problem when other shelters are closed. "We are currently stuck with making some makeshift beds and offering whatever space we can to any individual that shows up," she told Information Morning Moncton. In November, Moncton received $106,000 from the province to run the shelter at the former Assumption Boulevard fire station. The shelter was announced after growing outrage over people having to sleep outside in frigid temperatures. Moncton's two other homeless shelters were operating over capacity and around 120 people were living outdoors in the city, some in tents. "The majority of the individuals are from Moncton so we're not seeing a lot of travelling like we have in past years," Ryan said. "And that's kind of been eye opening." She said people using the new shelter have had housing before but lacked the support to maintain it. She said they are "stuck in a cycle," of mental illness, addiction and other problems that don't have designated resources. "It's completely different than when we visited tents. We're just seeing a little bit more in depth as to what the underlying issues are." Ryan said there are still "active tent sites" in the city. "Those individuals still just don't feel safe coming into shelter," she said. They still check in with the shelter or with the Humanity Project "so that we know that they are safe," she said. "If we don't hear from them, then at that point we would send somebody out to see what's going on." Ryans calls the new shelter "damp," which means people don't have to be completely sober to access it. The shelter is open daily from 4 p.m. to 8 a.m.. When it's closed, people with addiction problems are disqualified from accessing services because of how the system is set up. "Once we close, if they're still struggling with their addiction and they can't manage to face a day sober, we have nothing in place to protect that person," she said. "We're basing our services on them being sober yet not offering any pathway to sobriety." She said waiting lists for rehab are too long, and those who become sober there are released back into homelessness. 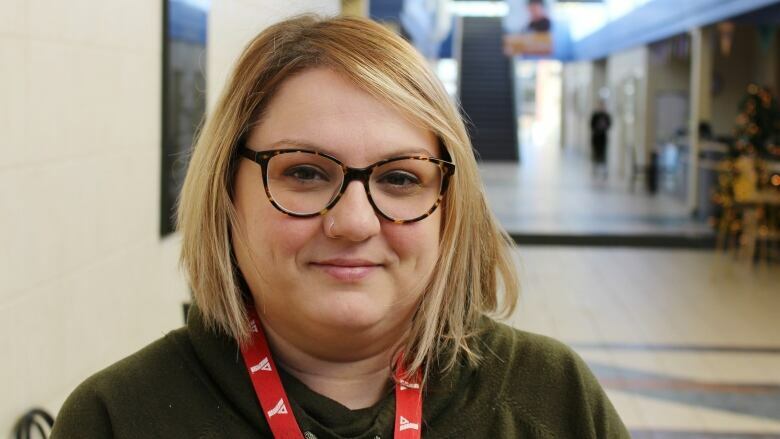 "Seeing the state of what homelessness does to individuals, I recognize that if I were to struggle with addictions and be placed in some of those situations there is literally no way, there's no way, I could maintain sobriety," she said. Ryan said the out-of-the-cold shelter was an emergency measure. The shelter will close of March 31, and after that "there's really nothing in place." She's calling for a shelter that would allow people to be under the influence, and eventually safe consumption sites and detox and rehab centres. Dry shelters should remain dry for people who need them, she said. "These are people's children," she said. "They're not just, you know, rogue adults that have just chosen this lifestyle. Almost all of them have identified some form of childhood trauma and abuse that was left neglected. "We need to do better. And so the government really needs to invest in these services but they also need to invest in child protection services."